That’s what Nathanael asked Philip in John 1:46 when Philip announced that they had found the One about whom Moses and the prophets wrote. 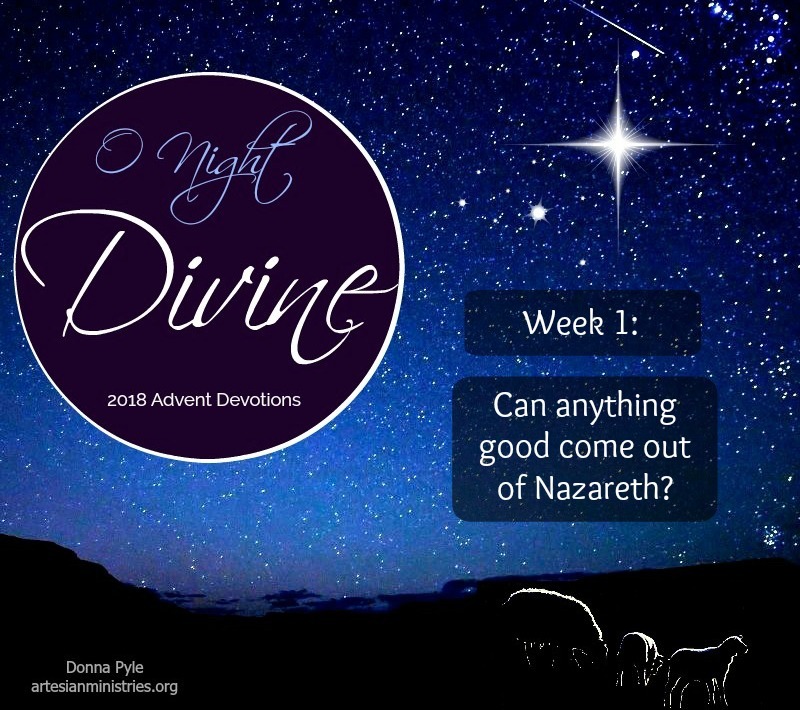 Rather than take offense at Nathanael’s skeptical question, Philip simply invited Nathanael, “Come and see.” Moments before, Jesus had invited Philip to follow Him. Now Philip invited Nathanael to see Jesus with his own eyes. It comes down to inviting. In the heart of today’s bustling City of Nazareth, the Church of Annunciation sits over the site believed to be Mary’s house. Originally built in the mid-4th century by Constantine, the church invites visitors to see the place where the angel Gabriel announced to Mary that God had chosen her to be the mother of the Messiah. In Nazareth, Mary received a holy invitation to be a key player in an epic story that re-wrote history. Christmas and invitations go hand in hand. God invites us to receive by faith the most priceless Gift ever given. You and I invite others to see the hope of the world reflected in the holy eyes of a Baby. And then there was Bethlehem. The word “Bethlehem” likely brings to mind nocturnal shepherds watching over their flocks. However, its meaning extends far beyond a pin on a map. The word Bethlehem comes from two Hebrew words: (1) beth and (2) laham. Beth, roughly translated, means house. It does not necessarily denote a specific kind of building, but rather its function. Laham is a masculine noun which means bread (Genesis 18:5; Numbers 21:5). In fact, Leviticus 21:6 refers to laham as sacrificial bread. Some may scoff and dismiss it as a cutesy coincidence that God introduced the Bread of Life to the world from a bakery. But wait. What is a bakery’s function? To provide food. Time and again Jesus fed the multitudes, both physically and spiritually. And the Word made flesh continues to feed us through Word and Sacrament today. Advent is a time for us to praise God for the gift of the Bread of Life, who taught, “Man shall not live on bread alone, but on every word that comes from the mouth of God” (Matthew 4:4). Mary’s betrothal time should have been filled with happy preparation for her new life as Joseph’s wife. Instead she grappled with the staggering news that she was pregnant. Not because their passion raged out of control, but pregnant like no other woman before or since ─ by the Holy Spirit. A virgin conception? Incredulous at best, blasphemous at worst. Yet Mary believed God’s angelic messenger. She trusted by faith and set the holy standard for surrender and submission: “I am the servant of the Lord; let it be to me according to your word” (Luke 1:38). Even though people could legally stone her to death? Let it be. Even though Joseph could divorce her? Let it be. By God’s amazing grace, Mary’s womb carried the One who conquered our tomb. Let it be! And finally there was Joseph. Chosen by God among all men on earth to be the guardian of our Lord. 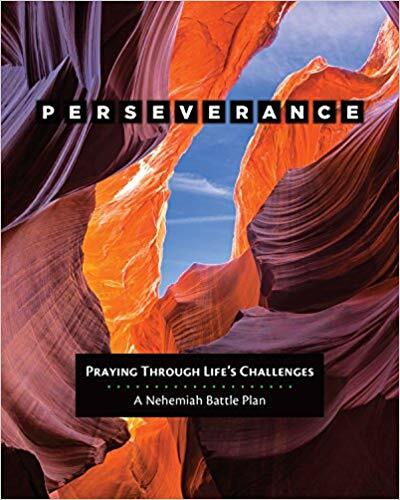 In steadfast faith, Joseph believed God’s message in a dream. Unwavering, he stood by Mary when culture dictated that he shun her. With relentless perseverance, Joseph traversed miles on foot to become a midwife on the fly. He followed Caesar Augustus’ census decree and registered with the lineage of David — from which would birth the Divine. Joseph adopted the Father’s Son and safeguarded the Light of the world. Mary and Joseph were handpicked by God to nurture the Cherished of God. They didn’t ask for it. They likely faced persecution over it. They could have given in to fear and trembling, yet God strengthens those who turn to Him in faith. So, can anything good come out of Nazareth?